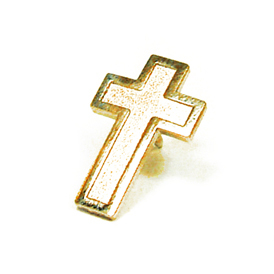 High quality Christian jewelry, in the form of a Gold Christian Cross Lapel Pin displays your faith! This metal cross is about 3/4" tall by 1/2" wide. Thank you. Great service. I will do this again.